Geez, I really didn’t make things easy for myself – there are a lot of choose from. But again, my gut instinct told me to go with Clinique Anti Blemish. 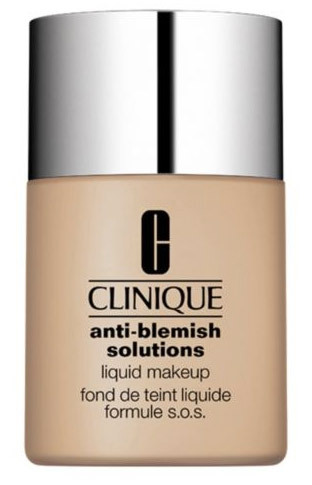 I first discovered this foundation when I tested it for a sponsored post and totally fell in love. The texture and finish of the foundation is exactly what I want from a foundation, which meant I used it consistently every day until I used it up. This NEVER happens with foundations, so definitely makes it a stand out. In fact, I now need to pick up another bottle to match my paler winter skin tone. To read the full original review click here.